Have you ever thought about how much of an impact the word 'style' has upon your life? Because it's certainly true that style does impact your life; it impacts all of us. The impact that style can have upon our lives is pretty substantial. In many cases, the influence of style can even cause us to do some rather strange and inexplicable things. One example would be the current style of young men going around with their pant waist cinched around their upper legs, with their undies hanging out in the air for the whole world to view. To some degree or another, style impacts virtually every aspect of our lives. Even Christmas. Because whether you’re a longtime Christmas Enthusiast or a newbie, you have some personal style preferences about your Christmas lighting. There's a certain look that you favor. There are particular styles of lights that appeal to you more. There are specific items of holiday-themed décor that you prefer to incorporate in your display. When it comes to Christmas decorations there are many personal style preferences. But over the years we've made an observation here at Christmas Designers. 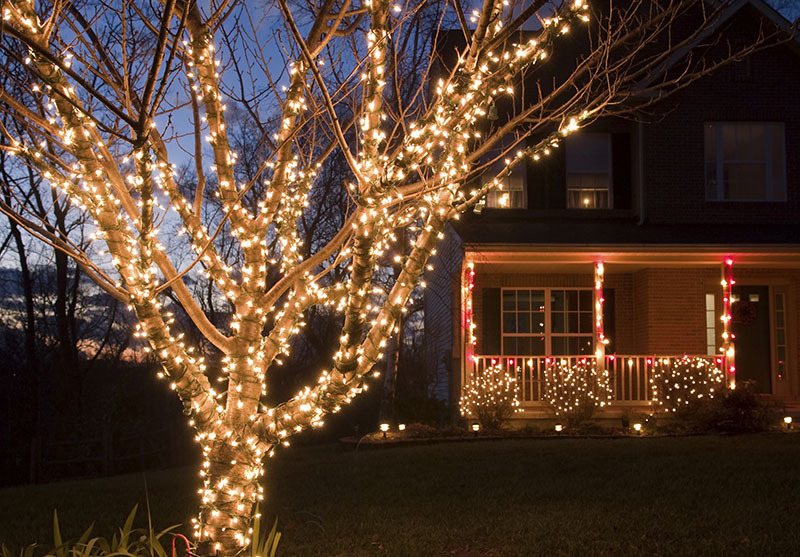 We've noticed that Christmas lighting style choices generally fall into three broad categories. Holiday-generic themes offer a symbolic nod to the holiday season, but in a fairly generic manner. Within this style choice there's not a lot that relates directly to Christmas. This style of display typically leaves no doubt as to the season. 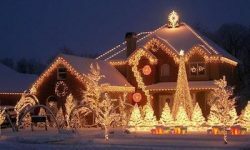 Quite often this style will incorporate seasonally themed decorations such as snowfall tubes, for example, or icicle lights. These pay homage to the season of the year, but not specifically to Christmas. That's not to say that these displays don't celebrate the holiday season; they do. And they often do so in very grand style, with a stunning kaleidoscope-colored display of lights and décor that helps to heighten the joy of the season. Make no mistake: These displays can be quite spectacular. But though there may be an occasional nod to Christmas - perhaps some gift-wrapped boxes presented as themed décor, for example - there's just not much that blatantly shouts, "Hurray, it's Christmas!" Unlike holiday-generic styles, this style of Christmas display is ALL about Christmas. These displays can be all-out impressive or rather understated. But they always make it quite clear that the display is all about Christmas. Any type of décor that's clearly Christmassy is likely to appear in these displays. Full-on Christmas displays might include silhouettes of Santa, or Rudolph, or elves. They might include religious displays or symbols. 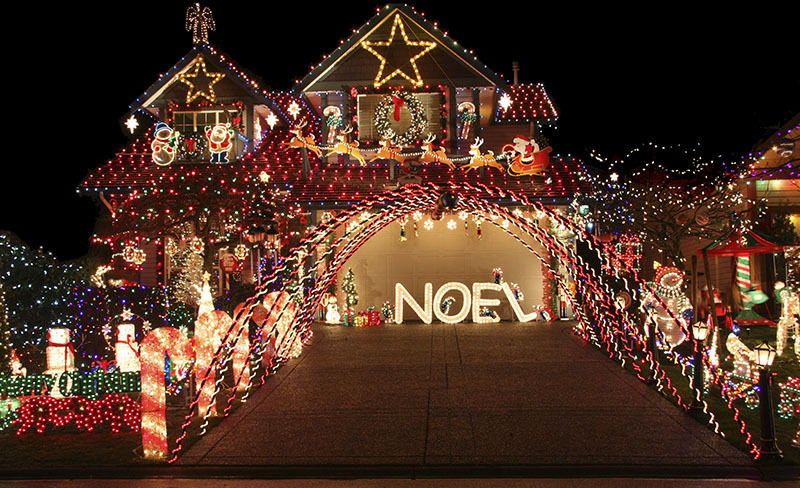 They might even use lights to spell out holiday greetings such as "Merry Christmas" or "Noel." These displays aren't about celebrating a season or a time of year. These displays are all about celebrating Christmas. Period. Minimalist Christmas lighting styles can be either holiday-generic or full-on Christmas. But regardless which of these two paths a minimalist display takes, it does so in a subtle and understated fashion. No garish in-your-face lighting. No tripping the power plant's nuclear reserve when switching on the display (as Clark Griswold's did). Minimalist displays can be elegantly, ethereally beautiful - but always in a gentle and muted style. Sometimes minimalist displays evolve into more complex displays over the years, and sometimes not. But in truth, every Christmas Enthusiast should start out with a minimalist display. Building upon a minimalist display as the years go by is a great, budget-friendly way to evolve into the type of display you ultimately want. Just be sure to build the foundation of your minimalist display with quality, Pro Grade lights. Do otherwise, and you're likely to find yourself replacing components of your foundational display each year instead of building toward your dream display. Do you recognize yourself in one of the three style categories listed above? Or do you belong in a whole different category? Whether you're an experienced Christmas Enthusiast or a newbie, you probably know which style is for you. There's no right or wrong, of course. It's simply a matter of taste; just like preferring chocolate, vanilla, or strawberry. But just like any other style choice (even including the saggy pants! 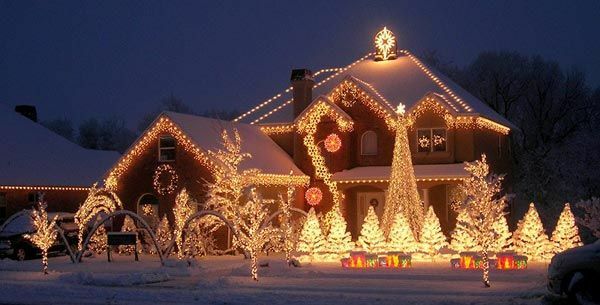 ), your preferred Christmas lighting style helps tell the world who you are.